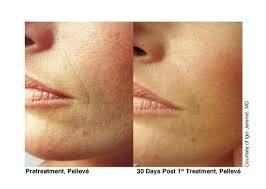 Pellevé is a new type of wrinkle treatment. This non-invasive procedure is often used to tighten sagging skin, a common problem that comes with natural aging. Pellevé delivers quick results and is rarely accompanied by side effects or other complications. Not everyone is keen on facial injections or surgery. Pellevé is a completely pain free and pleasant treatment with no needles. The results are long lasting and there is no need to worry about bruising or swelling afterwards. Makeup can be applied immediately and you can go about your day as normal afterwards. Pelleve uses radiofrequency technology to heat the deep layers of skin without causing any side effects. There is no pain during or after the treatment. A special Pelleve hand piece will be used on the wrinkled skin. Every time this Pelleve hand piece is used, a warming sensation will be felt. 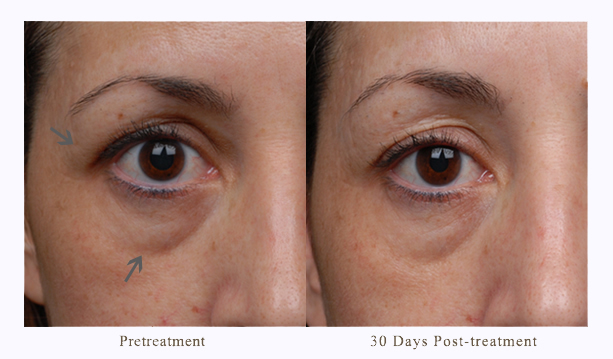 Radiofrequency causes the skin to produce collagen over the following days and weeks. This causes smoothening of the skin to occur. The entire Pelleve treatment takes about 45 minutes. On what part of the body is Pelleve used? Who is a candidate for Pellevé? Pelleve is most appropriate for those with mild wrinkling. Candidates for Pelleve are healthy women and men, usually middle aged, sometimes younger. Most Pelleve candidates have fine lines on the face. The results include smoother skin, elimination or reduction of fine lines and wrinkles, and some tightening in the skin. These results typically last a minimum of six months. What are the benefits of choosing Pellevé over similar treatments? Pelleve is a safe option. There are no needles and no bruises and side effects are really unheard of, if used by a trained Doctor.